Hilda Chiaffitelli, 91, of Toms River, NJ passed away peacefully at home on Wednesday, August 29, 2018 surrounded by her loving family. Her gentle heart and peaceful spirit were a blessing to her family and friends. Her warm smile and kind ways were cherished by all those she met. Above all, the unconditional love she gave to her children and grandchildren was the greatest gift of all. Hilda was a devout Catholic and caring woman who was a member of the Rosary Altar Society. For many years, she was a parishioner at St. Maximilian Kolbe R.C. Church in Toms River, NJ before attending St. Leo the Great R.C. Church in Lincroft, NJ. Some things she enjoyed doing with her family and friends were cooking, playing cards, shuffleboard and bocce. She was born in Brooklyn, NY to the late Joseph and Anna (Gouny) Raygada. 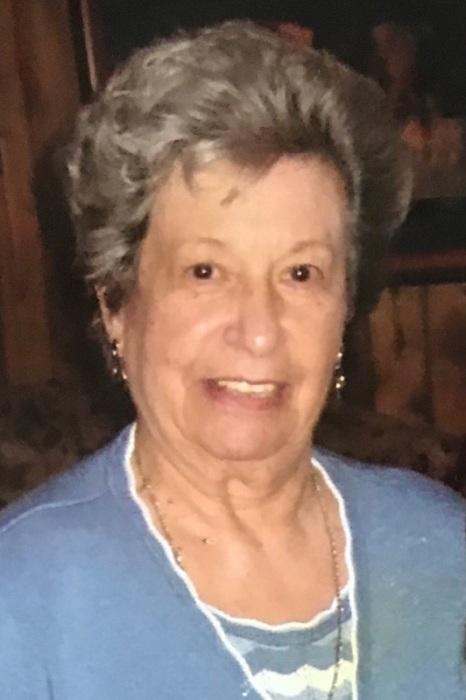 Hilda was a beloved wife of the late Peter Chiaffitelli; loving mother of Denise and her husband Robert Schreiber, Janet Chiaffitelli, Andrea and her husband Anthony DiSpirito; adoring grandmother of Erik, Brian, Anthony, and Joseph. She will be greatly missed and loved every day. A visitation will be held at the John E. Day Funeral Home, 85 Riverside Avenue, Red Bank, NJ 07701 on Friday, August 31, 2018 from 2-4 pm and 7-9 pm. A Mass of Catholic Burial will be celebrated at St. Leo the Great R.C Church on Saturday, September 1, 2018 at 10:00 am. Interment will follow at Mt. Olivet Cemetery in Middletown. In lieu of flowers, memorial donations may be sent in Hilda’s memory to St. Jude’s Children Research Hospital, PO Box 1000, Dept. 142, Memphis, TN 38148.